Item # 311352 Stash Points: 7,995 (?) This is the number of points you get in The Zumiez Stash for purchasing this item. Stash points are redeemable for exclusive rewards only available to Zumiez Stash members. To redeem your points check out the rewards catalog on thestash.zumiez.com. 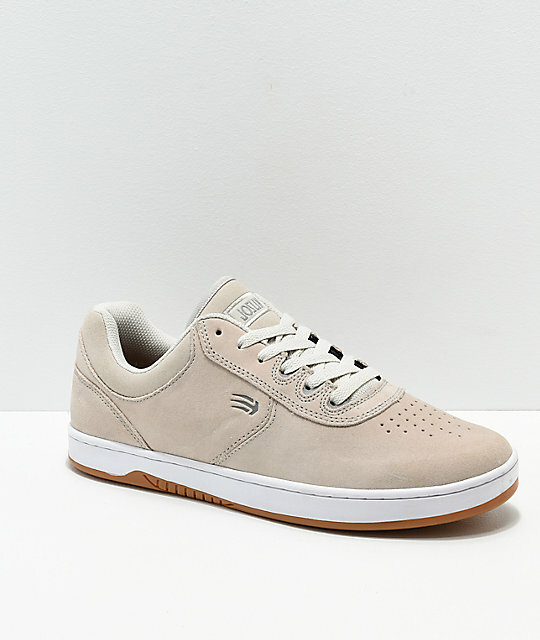 Get some shoes that are literally made with race car tire tread with the Etnies Joslin White & Gum Skate Shoes. In collaboration with Michelin, these shoes utilize the same tire tread shape as race cars to optimize grip and durability. A durable cupsole offers additional impact support while the padded and mesh lined tongue and collar provide additional comfort while maintaining premium breathability. 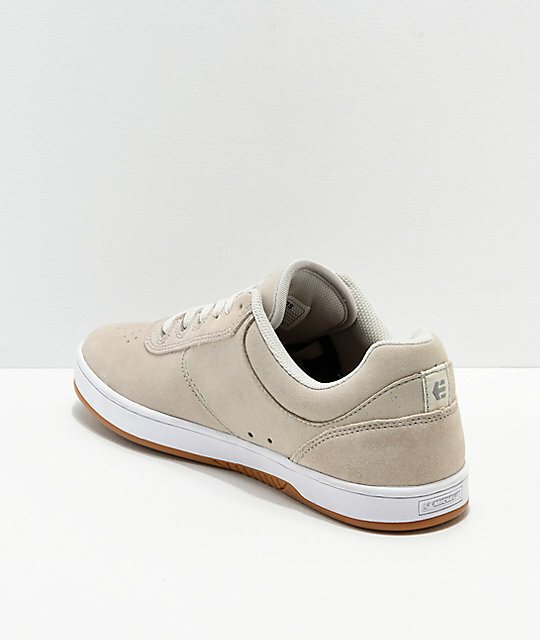 Joslin White and Gum Skate Shoes from Etnies. 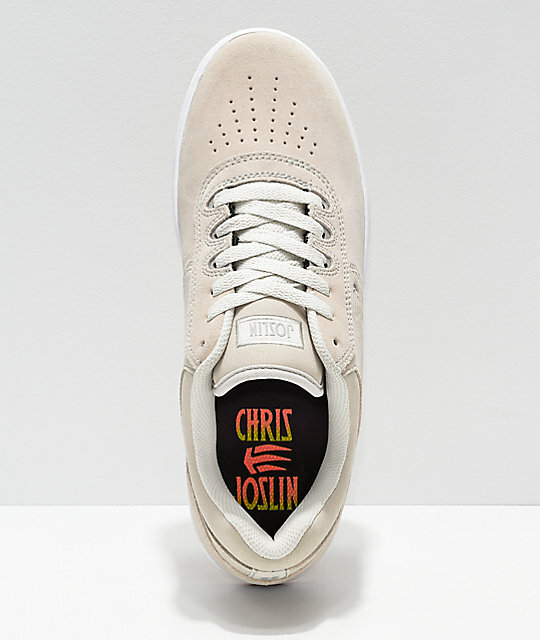 Signature Chris Joslin pro model. 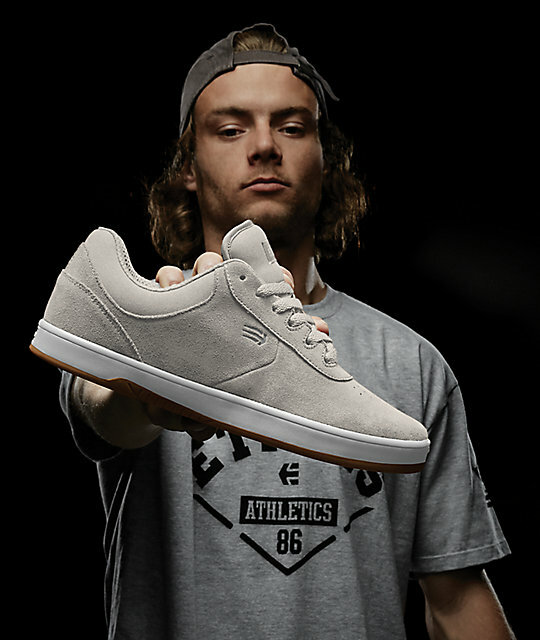 Signature Etnies Footwear and Michelin Tires collection. Suede upper with hidden toe cap underneath for added durability. Pro Foam Lite 1 Insole made from dense PU foam offering comfort and cushioning. Durable cupsole construction for impact support. STI Evolution Foam Midsole for lightweight shock absorption. Durable Michelin rubber compound outsole with race tire tread pattern for grip. 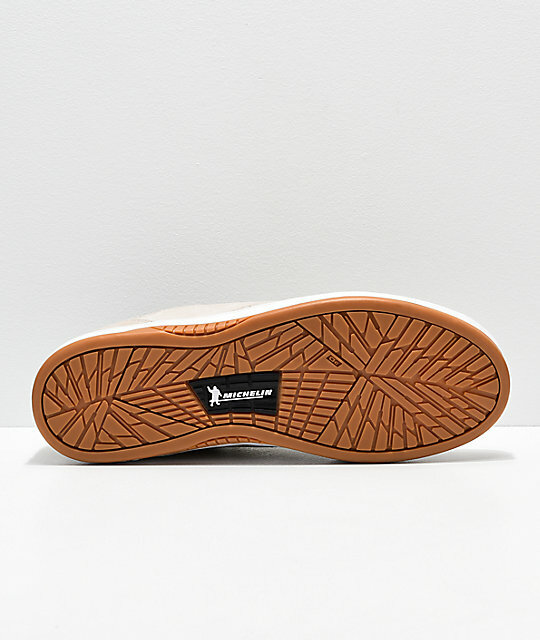 Etnies and logo detailing throughout. Interior elastic tongue gussets for snug fit.